The error is met not with jeers but raucous applause. Cheering when someone makes a mistake is Leah Lawler’s way of emphasizing that mistakes are acceptable. She encourages this way of thinking in her weekly Cognitive Comedy workshop, where more than a dozen participants come together and exercise memory muscles with various improv exercises. 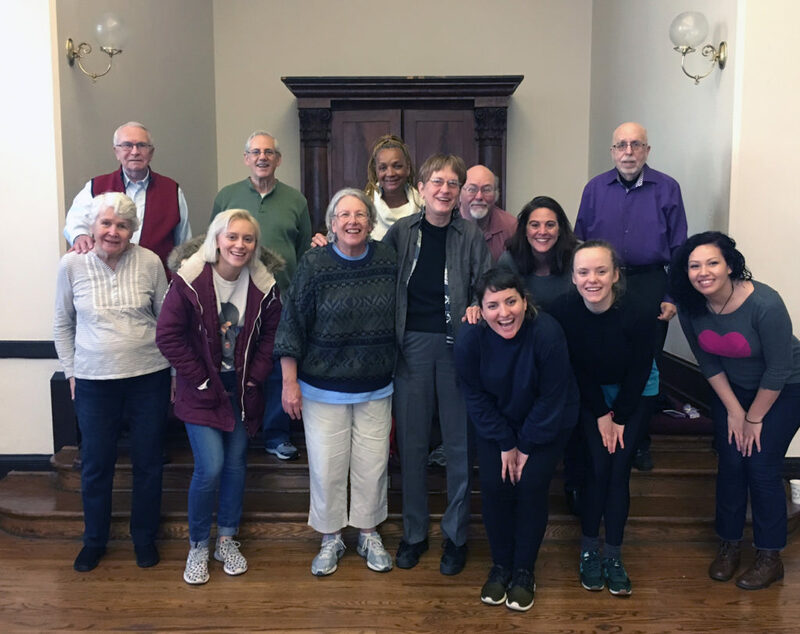 Lawler, a Philadelphia actor, started the weekly workshop with the Penn Memory Center (PMC) as a way to combine social engagement with learning a new skill and having fun. 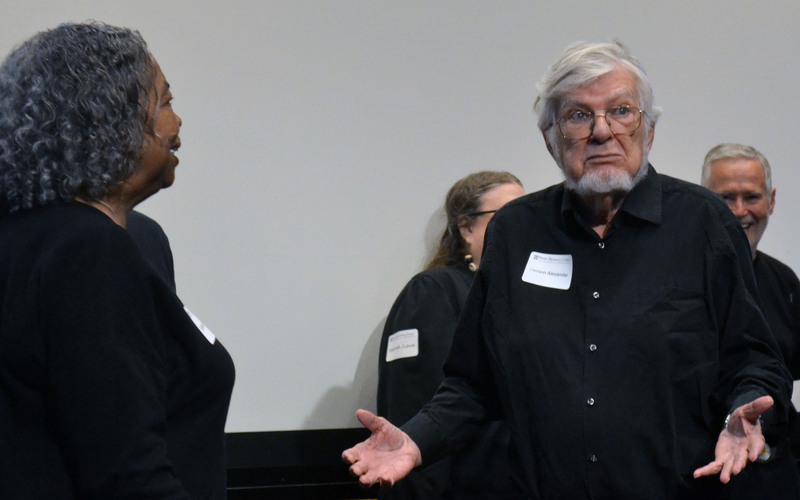 The “Zip Zap Zop” improv exercise, which challenges participants’ memory skills, was how the Flounders warmed up for its last session before its finale performance at the PMC Research Partner Thank You Luncheon. At the Luncheon, the group performed a long-form exercise for the audience, which is when the Flounders are given a random word, and they proceed to enact two-person scenes based off the word. Long-form improv is Lawler’s way of teaching her workshops, because this particular form of improv better helps participants exercise their memory skills when they work on longer pieces. One of the many ways this eccentric group of people have bonded and turned the workshop into their second family is through getting lunch and spending time together outside of the Saturday workshops. Tina Bak-Brevik, a caretaker who has been a part of the workshop for more than two years, moved to Philadelphia almost three years ago and wanted to find a support group like the one she had before she moved. She cannot remember how she found out about Cognitive Comedy, but she is glad she did. “I don’t know who’s participating as a caretaker or as a patient,” said Bak-Brevik of the welcoming atmosphere the group offers. 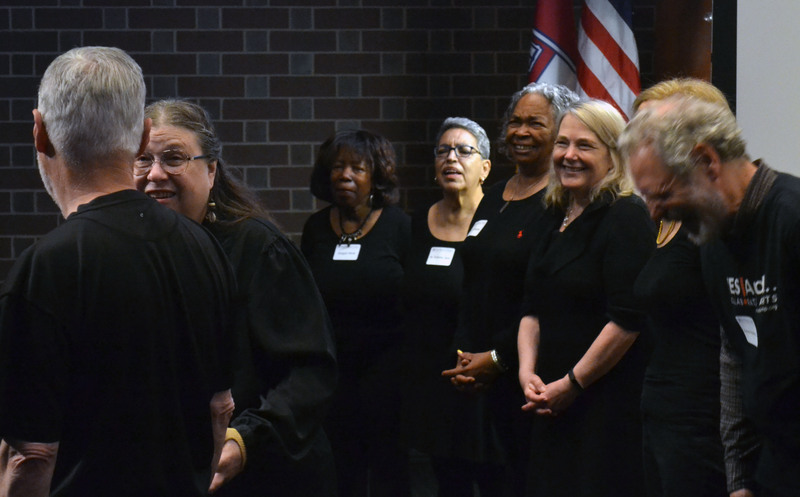 Creating trust and familiarity was important for Lawler, who began the workshops with a mix of improv students she knew and older adults from PMC. But as time went on, she realized that the class was completely capable of understanding with just her there, and they have become closer for it. In attending one of the workshops, it is plain to see just how close the group has become with each other. As they filter in for their noon class, Lawler brings breakfast and coffee for everyone and they all chat, joke, and laugh as they wait for all the members to arrive. Lawler then does a one minute check-in with everyone in a circle where they talk about their weeks and catch up. Never a dull moment, the group is more likely than not always joking and laughing with one another earnestly. Lawler, who has been the instructor for the workshop since the beginning, is what her participants call a dynamic and encouraging individual, as stated by Bak-Brevik and Alexander, and they are thankful to have her. The improv workshop has been running since its trial sessions in 2015, which were to gauge if this was something people were interested in. Both the trial sessions Lawler did were at capacity, and the group has grown over the past couple of years to now consist of over a dozen members carried out in eight-week “seasons.” Cognitive Comedy is one of the PMC’s special engagement programs and is open to all participants of the PMC community. As for the future of this lively comedy group, Greenfield said she plans to continue hiring Lawler as a consultant to run the program and Lawler has hopes of making the workshop better. This will consist of more intensive sessions and maybe even offering it for longer timeframes. Nothing is set in stone, but she is looking forward to what’s to come for Cognitive Comedy.